The disciples have returned from their first excursion into ministry, eager to tell Jesus all they have done and taught. Now it is time to debrief and rest awhile, for many were coming and going to receive what Jesus and the disciples had to give: blessing after blessing. Jesus had compassion on them because they were like sheep without a shepherd. Sheep are defenseless animals and need someone to be near enough to provide clean water and healthy, green grass. The shepherd also protects them from predators and things that bug them, like other sheep and nose flies. The people streaming to Jesus had no one to provide for them. Now they would be fed a regular meal of bread and fish. They needed to be freed from their illnesses of mind, body, and spirit. In all these ways they were satisfied. 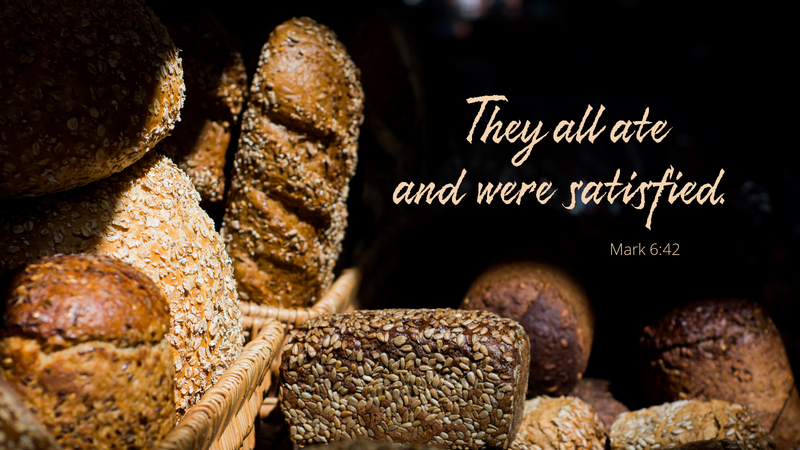 There was just a little left over, not much extra at all — only twelve baskets full after feeding five thousand men. I suppose each disciple took a basket home that night. When the Lord of creation is among us, we will always have enough and a little to spare — enough for everyone. Prayer: Lord of all creation, help us to trust in your protection and provision. Amen. Looking around today we can see so many “sheep without a Shepherd. We are a nation that has lost it’s way. So why are those who have a Shepherd not bringing in the lost sheep? Is this not our job? Is it not our responsibility? Even today so many people are hungry for the truth of the gospel, yet, we are so caught up in ourselves, we are either blind or numb to the calling.